Get the facts about BluePearl for news stories and articles. If you’re a journalist working on a story about veterinary medicine, please contact our Media Team at news@bluepearlvet.com or 813.682.0845. BluePearl is a national provider of specialty and emergency veterinary care. 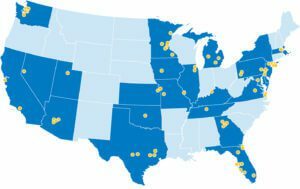 We have more than 70 pet hospitals located throughout the country, most of which are open 24 hours a day, every day of the year. Just as family doctors refer human patients to specialists, family veterinarians refer pets to specialists from BluePearl. Some of our most important partners are primary care veterinarians, who refer patients to BluePearl when it’s the right thing to do. Our board-certified veterinary specialists have undergone rigorous training in their areas of expertise, including cardiology, dentistry, dermatology, internal medicine, neurology, oncology, ophthalmology, surgery and several other disciplines. Working together with family vets, we provide the best possible care for pets. BluePearl’s rapid growth reflects evolving trends in the pet industry. Many people view pets as members of their families, and so they seek the most advanced medical care available. We are proud to provide it. Our clinicians use innovative procedures, high-tech equipment and the latest treatment methods. BluePearl also participates in clinical studies to evaluate the effectiveness of new drugs and treatments, providing access to cutting-edge medicine that is not yet commercially available. State-of-the-art care is our mission, but we firmly believe the foundation of veterinary medicine is compassion. BluePearl’s co-founder, Dr. Neil Shaw, created Frankie’s Friends charity for people who cannot afford lifesaving care for their pets. Pet emergencies never seem to happen at convenient times. That’s why our hospitals stay open around the clock at most locations. If a dog gets hit by a car at midnight, or a cat has seizures at 2 am, our experienced teams are waiting in emergency rooms to help. Pet owners take their dogs and cats to their family veterinarians for regular check-ups and shots. These same veterinarians refer their patients to BluePearl because of our advanced training. We employ board-certified veterinarians who specialize in: avian and exotic animals, cardiology, critical care, dentistry, dermatology, diagnostic imaging, emergency medicine, internal medicine, neurology, oncology, ophthalmology, rehabilitation and surgery. 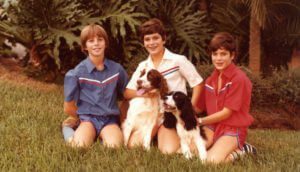 Brothers Neil and Darryl Shaw grew up helping their father in his veterinary practice in Tampa, FL. Neil dreamed of becoming a veterinarian himself. Darryl was more drawn to the business side of veterinary medicine. As college students, the brothers went in separate directions. Neil spent a decade studying at the University of Florida, earning a doctorate in veterinary medicine and board certification in internal medicine. Meanwhile Darryl studied international commerce at Brown University, and later earned an MBA from Northwestern University. But the brothers had a single purpose in mind. 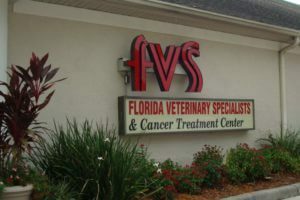 In 1996, on the day after Neil completed his residency in internal medicine, they opened a veterinary hospital in Tampa called Florida Veterinary Specialists. The practice grew steadily, adding several new specialties and two new hospitals in the Tampa Bay area. They also made the bold move of opening a new hospital in Midtown Manhattan. After expanding to New York City, the company began a period of rapid growth. It merged with the Veterinary Specialty & Emergency Center of Kansas City and renamed itself BluePearl Veterinary Partners, later to become BluePearl Holdings, LLC. BluePearl succeeds by focusing on its strengths: emergency and specialty veterinary medicine. In each state or region, BluePearl seeks to become the leader for both types of care. Pets need nurses, too – they’re called veterinary technicians. Veterinary Technicians Week is the third week in October. Obesity in pets is a growing problem and October is Pet Obesity Awareness Month. Cancer is widespread in pets, but many live happy lives after chemotherapy, radiation and other treatments. November is Pet Cancer Awareness Month. First aid for pets: What you can do to help save your pet during a medical emergency. Pet insurance saves lives and makes financial sense. Dogs get herniated discs, too. But with treatment from our neurologists and surgeons, many learn to walk (and run) normally again. Heartworms and other parasites – some of the most common and most preventable killers of pets. Business story: The booming business of pets.